Up for sale is this rare 7149 Monte Carlo aka. 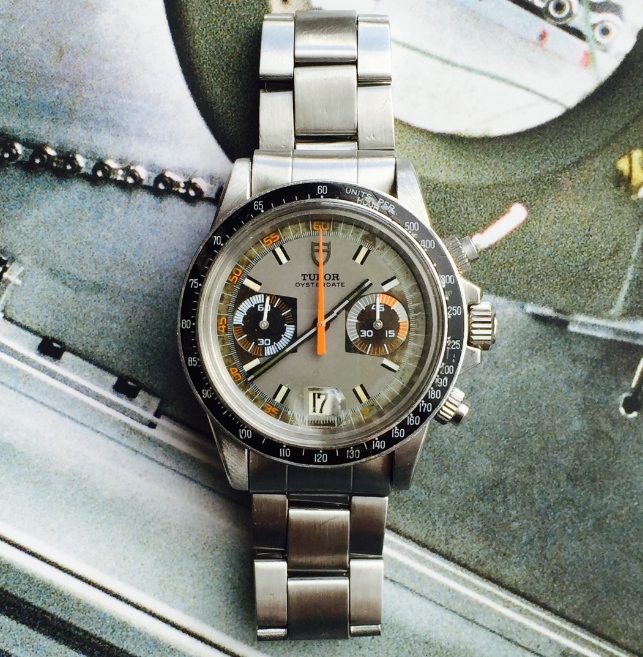 Tudor Paul Newman Chronograph, powered by the Valjoux 234.Watch was purchased few years ago. Runs perfectly at COSC speed.Comes with Stainless Steel,correct "Roulette" dial,correct Bakelite bezel,Bracelet is folded, 380 end links.Watch comes with boxes no paper and no other accesseries. Return is accepted if watch is not as specified and full refund minus shipping charges. I am an independent watch merchant and I am not affiliated with any watch brands.